How to match a car and caravan safely | What Car? Towing a caravan takes care if it's to be done safely. Think about it – you could be more than doubling the length of your car, adding over one-and-a-half tonnes to the weight, and then putting a big hinge in the middle. It could all go wrong very quickly if you don't take towing a caravan seriously. And the same care is needed when pulling a horsebox or any other trailer. 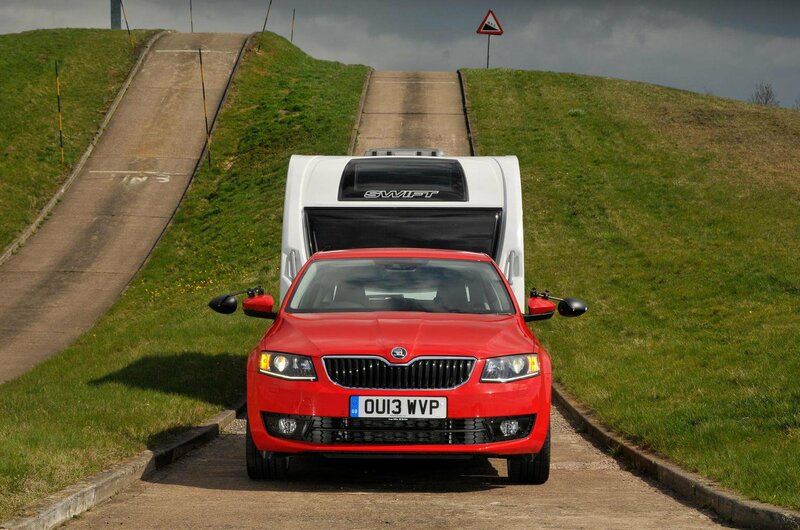 Staying safe when towing a caravan starts with making sure it's a sensible match for your car. To do that you'll have to check the weights and legal limits of your car and the caravan. 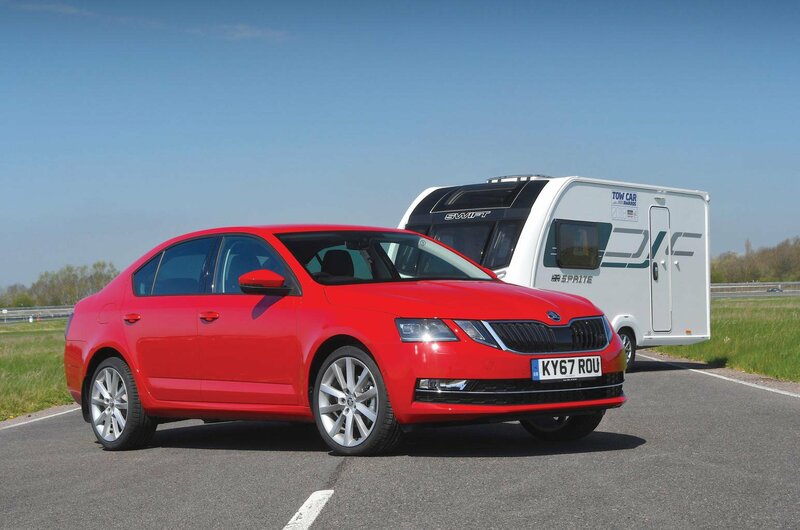 What do I need to know to safely match a car and caravan? In terms of the car, you should check the kerb weight, the maximum download on the towball (also referred to as the maximum nose weight) and the legal towing limit. As for the caravan, find out the Mass in Running Order (MiRO) and the Maximum Technically Permissible Laden Mass (MTPLM). Some manufacturers refer to the kerb weight as the unladen weight or the mass in running order. Whatever term is used, though, you're looking to find out the car weighs according to European Directive 95/48/EC, which includes all the fluids necessary for the car to run and a 90% full tank of fuel. Sometimes this figure is provided including a nominal 75kg for the driver, sometimes without. However, given that a car isn't going anywhere without someone behind the wheel, it seems reasonable to allow for the driver's weight when matching a car and a caravan. You should be able to find this figure in most new car brochures or in the vehicle's handbook, or you can check the registration certificate (V5C). If in any doubt, you could also take your car to a weighbridge to confirm how much it weighs without any luggage or passengers on board. The legal towing limit is also given in most brochures and handbooks. There are likely to be two figures, one for towing an unbraked trailer, one for towing a braked trailer. A caravan has brakes, so it's the braked trailer figure you need. Now for the caravan. The MiRO and MTPLM should both be given in any brochure or you'll find them on the weight plate on the side of the caravan. 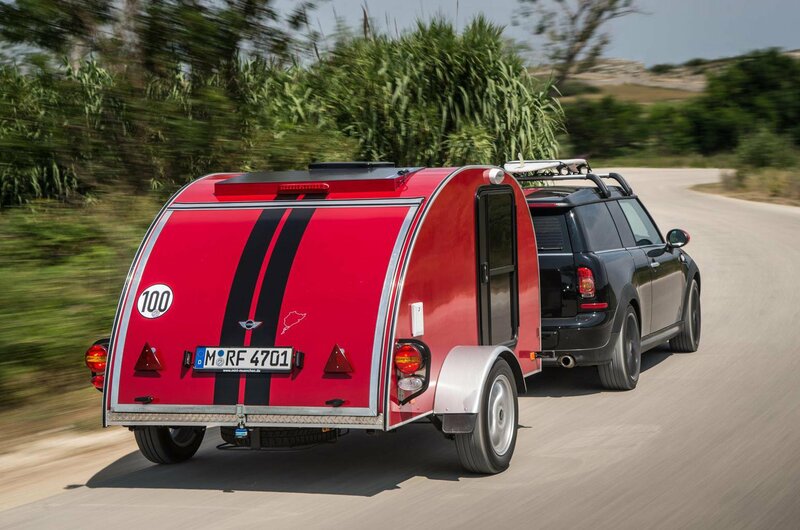 The MiRO is the caravan equivalent of the kerb weight, the MTPLM is the most the caravan can weigh when loaded. Most caravanners tow at or close to the MTPLM, so it's best to use this figure for outfit matching. How do I make sure I am towing legally? The short answer is that if your caravan weighs less than your car's legal towing limit, then the car and caravan combination is legal. However, you also need to check that your driving licence allows you to tow the combined weight of the car and caravan, something which What Car? has covered in more detail here. Even if your caravan has an MTPLM below the car's legal towing limit, it's worth checking the weights given on your car's VIN plate. There should be four, and it's the first two you'll need to pay close attention to. The first is the Gross Vehicle Weight (GVW), the most the car is allowed to weigh when loaded. The second is the Gross Train Weight, the most the car and any caravan or trailer can weigh combined. In most cases, the difference between the two should be equal to the legal towing limit given in the handbook and brochure. However, some manufacturers quote a legal towing limit with just the driver on board. So, when you load up your car, the effective towing limit drops. Make sure you don't exceed the Gross Train Weight to stay the right side of the law. Is a legal match a safe match? A car's legal towing limit is determined by its ability to tow a trailer uphill repeatedly. So it's really a measure of the strength of the engine and the durability of the gearbox. It doesn't necessarily mean a car will feel stable and secure towing that much weight at 60mph on the motorway with a gusty wind blowing. The Camping and Caravanning Club, one of What Car? 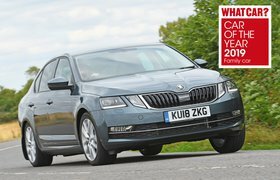 's partners in the Tow Car Awards, recommends an 85% matching ratio for safe, stable towing. In other words, if your car has a kerb weight of 1500kg, don't tow a caravan weighing more than 1275kg (1500 X .85). This is often referred to as 'the 85% rule', but it's a guideline or rule of thumb rather than a legal requirement. The club considers it acceptable for experienced tow car drivers to tow up to 100% of the tow car's kerbweight, but never more than this – even if it's legal to do so. What about the nose weight? The nose weight is the weight the towing hitch of the caravan applies to the towball on the car. Cars have maximum nose weights, just as they have maximum towing limits. Again, you should be able to find this in the car's handbook. For safe and stable towing, the nose weight should be as high as possible without exceeding the legal maximum. Caravan dealers sell nose weight gauges which make it easy to check the nose weight a caravan applies. Changing how a caravan is loaded will alter the nose weight, but if the car's limit is too low it may not be possible to stay within the maximum download. It's more complicated than you might think, isn't it? But it's worth being thorough when matching a car and caravan to make sure you can tow safely. First, check your car can legally tow the caravan you are thinking of buying. Then check the matching ratio to give yourself reassurance that the combination will be stable and safe as well as legal. And don't forget to measure the noseweight to make sure the towball's limit is not exceeded.